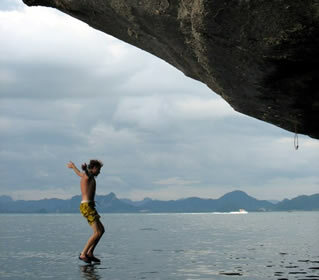 Deep water soloing (DWS) fever has hit Railay Beach this year. 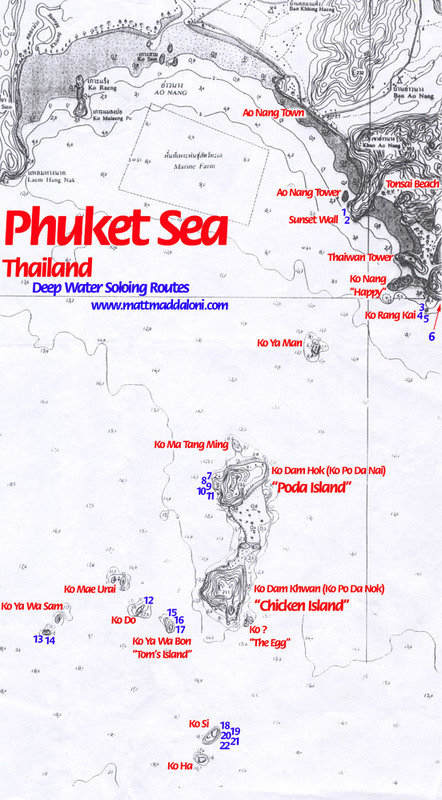 Wee organises trips from Tonsai Beach, and the excessively strong are now coming to pull hard on pristine rock over tropical waters. A couple of great shots shamelessly stolen from David Prescots fickr page. 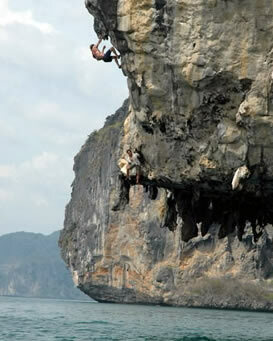 The guy must have testicles of steel..
Wee knows all the best spots, tricks and tips for getting high and surviving. 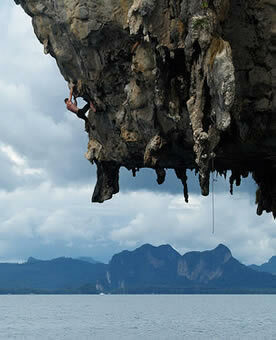 His shop/ bar is a good place to hang out, and you can check out videos of soloing very high and hard. 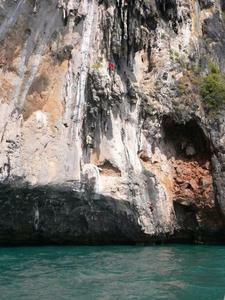 His trips are great fun, and should be done at least once. 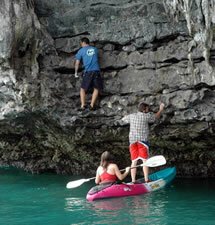 Wee also has snorkeling gear for those who just want to hang out, watch and swim. 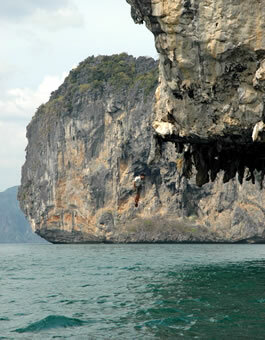 There is great potential for deep water Soloing all along the cliffs from Ao Nang to Tonsai. 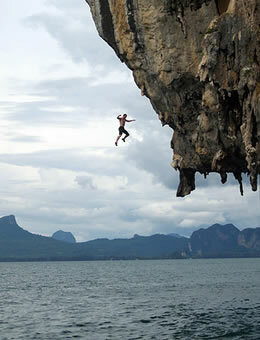 There are amazing roofs, which brush the water line for 20M before soaring to suicidal possibilities. Then there is a cornucopia of outlying islands and cliffs, virginal and waiting to be er climbed... Get on Wee's trip, or rent a kayak!